Journal of Pharmacology and Medicinal Chemistry is an open access Peer-Reviewed journal that aims to publish the latest and outstanding Research articles, reviews, and letters in all the areas of Pharmacology and Medicinal Chemistry. It covers a broad range of topics including but not limited to Chemical Pharmacology, Chemical Biology of Molecules, Anti-Infective Agents in Medicinal chemistry, Pharmaceutical chemistry, Pharmaco-analysis, Pharmaceutical manufacturing, Medicinal organic chemistry, Synthetic Medicinal chemistry, Medicinal Biochemistry, Medicinal Companies and Market Analysis, Medicinal Chemical Research, Bioorganic Chemistry, etc. Articles published in Journal of Pharmacology and Medicinal Chemistry showcase the significant advances made on previously published work, or bring new thinking or results which will potentially have a strong impact in this field. 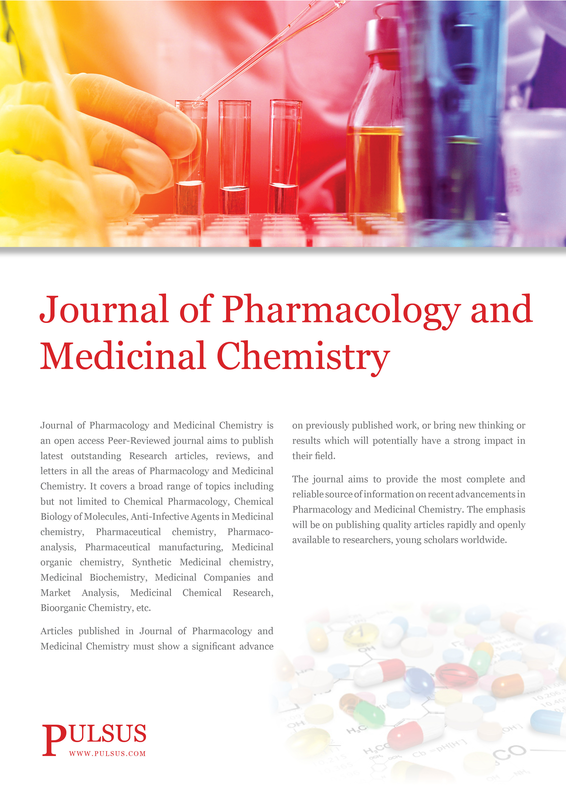 Journal of Pharmacology and Medicinal Chemistry aims to provide the most complete and reliable source of information on recent advancements in Pharmacology and Medicinal Chemistry. The emphasis will be on publishing quality articles rapidly and openly available to researchers, young scholars worldwide.